Has the roof on your home started to fail you and you have a roof leak in Howell Michigan? 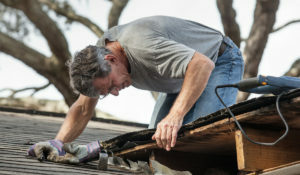 Getting roof repair in Howell Michigan from Livingston Roof Pros can help you get your home back to normal quickly. We offer quality roofing service in Howell Michigan that is done by qualified roofing experts. All of the work we do is covered by our no leak guarantee so once we’ve completed the roof repair you can rest easy knowing your roof was done right. There are many different types of roof systems in use today in the Howell Michigan area. There are also many different types of roofing materials used as well. The most common type of roofing used in Howell Michigan today is asphalt shingle roofing on pitched roofs which is our specialty here at Livingston Roof Pros. As you can see there are many different types of roofing that we offer roof repair services on.We can also install a new roof in Howell Michigan as well. Talk with one of our roofing experts today to learn more about the services we offer and if you have a special request that is not listed on our website be sure to call us. If your home has a roof leak it is vital that you get it repaired as quickly as possible. As water enters the home from a roof leak during a rainstorm it can damage all sorts of items in the home. Water first starts to damage the wood in the roof decking and then makes it way to the insulation in your attic. The insulation will become saturated with water and then the water will make its way to your ceiling. As it starts to saturate the ceiling it may start to go down walls as well. All this may be happening before you even realize you have a roof leak. Allowing more water to just stay in your home like this can also promote mold growth in the home. If you have a roof leak be sure to get roof repair in Howell Michigan as quickly as possible. If you have a roof leak then chances are you need roof repair in Howell Michigan. Repairing a problem on your roof will stop it from damaging the interior of the home any more than it already has. But if you think there may be a problem on your roof that you want to have checked then getting a roof inspection done on your home is likely needed. At Livingston Roof Pros we offer roof inspection service to ensure your roof is in good working order. 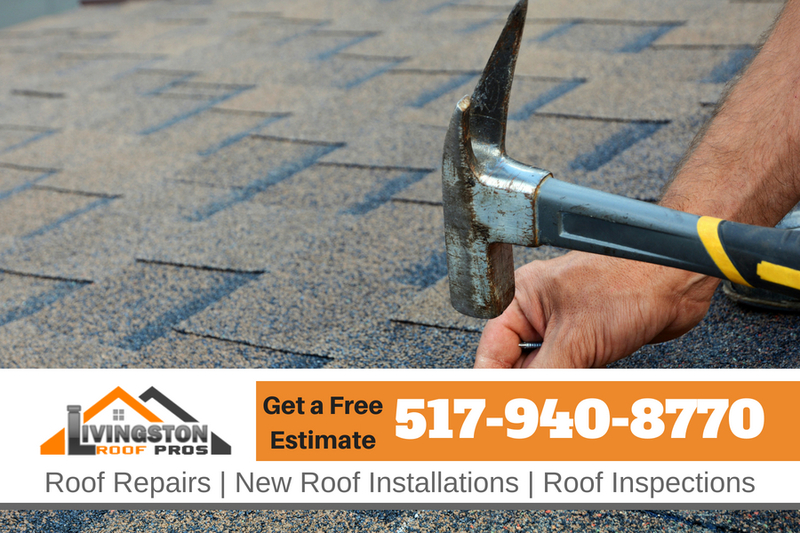 We’ll go over the entire roofing surface and check for problem areas. We’ll also look at any roof penetrations such as ventilation pipes and fans, chimneys, skylights, and more. We inspect the entire roof looking for signs of roof problems. We’ll also look for potential problems that can develop into a roof leak later. Once completed we’ll discuss any issues we have discovered and help you get a solution if needed for roof repair. We offer free estimates on roofing projects in Howell Michigan. Whether you need a complete new roof installed on your home or you just need roof repair in Howell Michigan we can give you an estimate on the pricing and time frame for your project. We are a fully licensed and qualified roofing contractor in Howell Michigan and are ready to help you get your roof back in working order quickly and affordably.